Please check out our large choice of luxurious Spa Days in the UK from www.GreatestGiftsco.uk. Hundreds of great deals and also handy Spa Day Vouchers from many of the top retailers. The Greenwoods Hotel, Essex is a luxurious 17th Century Grade II Listed building set in beautifully landscaped gardens and housing a fantastic health and leisure complex. The spa day facilities are complimented by a gym, sauna and swimming pool. Add to all this a back massage, manicure, luxury facial and a two course meal and you have an amazing value spa day UK package deal. The Clarice House Spa Day can be taken at two locations, Colchester in Essex and Bury St Edmunds in Suffolk. Enjoy a marvellous aromatherapy session and a one-hour full body massage with either a pedicure or a manicure. Lucky guests can also enjoy the swimming pool, sauna and, of course, the spa bath. A fantastic lunch is also included in this super spa day UK deal. The Carrick Spa is located at the beautiful Loch Lomond in Dunbartonshire and is a world class facility. Take a dip in the infinity pool and enjoy glorious views of Ben Lomond as you relax in the lovely pool. Enjoy a selection of thermal and hydro experiences before a lovely lunch and glass of bubbly. 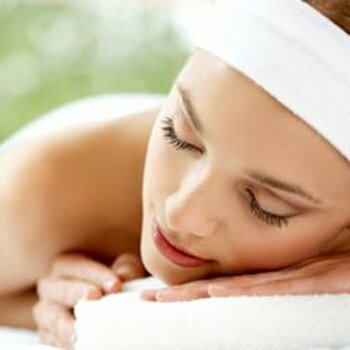 The Girls Day Out package is so super and includes a relaxing back, neck and shoulder massage as well as a file and nail polish treatment. Don't forget about the really handy Spa Day Gift Vouchers, a fantastic surprise present for the lady in your life to enjoy at her leisure!